In this 4-part series, Dr. Emerson Eggerichs sheds light on an often overlooked, yet indispensable element of a healthy marriage—respect. Combining biblical instruction with scientific expertise, Emerson provides insight into the unique ways in which God has designed both men and women and how they can rightly embrace their differences in marriage. As couples come to see the heart behind their partner's complaints, they will better understand the place for both love and respect between husband and wife. Rather than becoming another statistic, struggling marriages can break their Crazy Cycle and become thriving marriages by living in accordance to God's good design. In order to get the most out of this series, be sure to get the Study Guide (link is below). The Crazy Cycle in Marriage Study Guide (download) completes the 4-part video-driven Bible study and includes leader's guide notes, summaries and discussion questions for all four sessions, and information on how to get the most out of this video study. 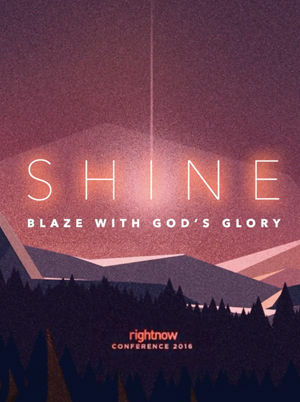 Whether you're studying on your own or leading a group as a volunteer or a paid staff member, this downloadable material will help you and your group focus on the meaningful teaching in The Crazy Cycle in Marriage. In order for every member of your group to get the most out of this series, everyone will need a copy of the study guide. Organizations succeed when their people keep their noses to the grindstone and do their work…right? Maybe in the short-term, but not after the burnout, employee turnover, and plummeting team spirit that inevitably follows. Regardless of the work required, the culture of a job has a profound effect on morale, especially when it comes to the relationship between management and employees. What does it look like for companies to encourage a positive environment for all levels of work? What is the secret? In this 2-part series, Dr. Emerson Eggerichs hones in on the transformative power of a workplace marked by two crucial qualities—personal care and respect. Without a healthy dose of both, a Crazy Cycle of disillusion begins. Because work plays a central role in life, it impacts the rest of our experiences. Applicable to employees and leadership alike, Emerson's teaching demonstrates how attentive, caring management garners respect from its people in return resulting in a strengthened outlook for an organization moving forward. Long-term success requires a broader vision, one that makes decisions beneficial to both the product and the people involved in its production. Make sure to download the FREE workbook!!! 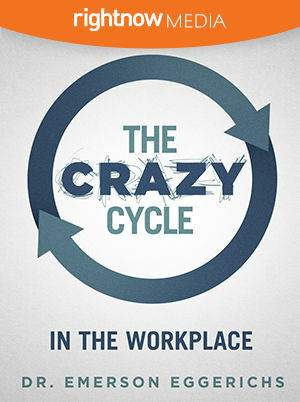 The Crazy Cycle in The Workplace (download) completes the 2-part video-driven study and includes leader's guide notes, summaries and discussion questions for both sessions, and information on how to get the most out of this video study. Whether you're studying on your own or leading a group, this downloadable material will help you and your group focus on the meaningful teaching in The Crazy Cycle in The Workplace. In order for every member of your group to get the most out of this series, everyone will need a copy of the workbook.